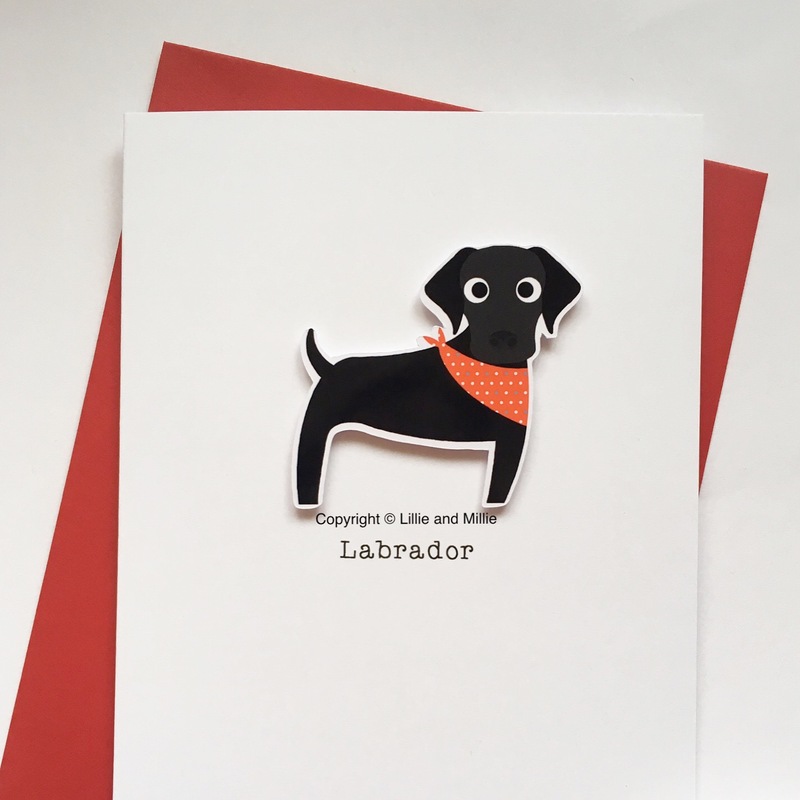 Our super cute Labrador breed cards are simply pawfect for most occasions and guaranteed to brighten any dog lovers day. Our standard black Labrador breed card with a red polka bandana. Want to personalise with the name of a pooch? Then please email your requirements to sales@lillieandmillie.com If you wish to purchase from outside the UK please contact us for shipping costs before you purchase. 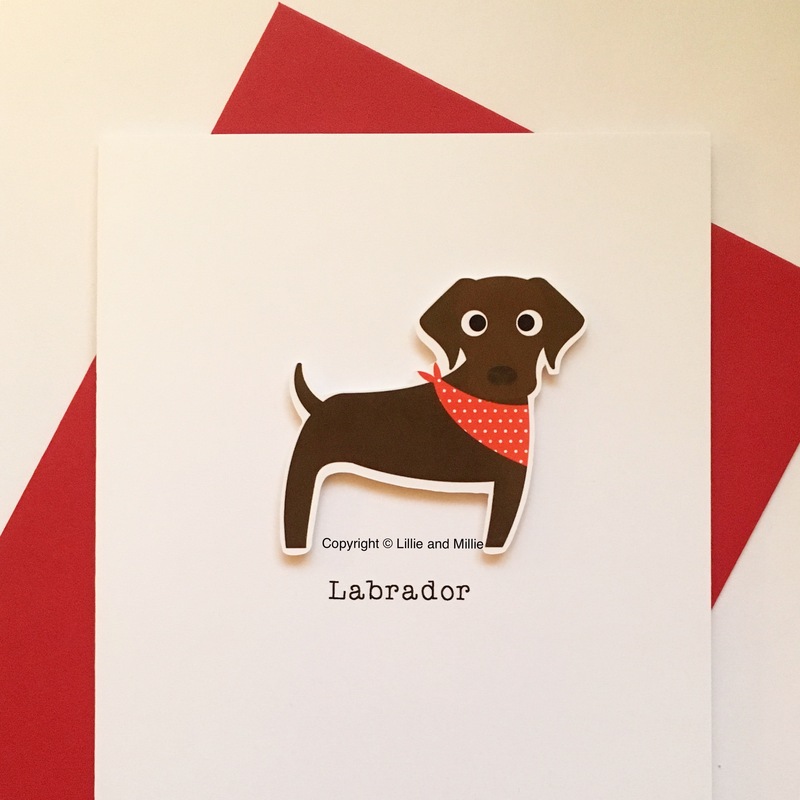 Our standard chocolate breed card with a red polka bandana. Want to personalise with the name of a pooch? Then please email your requirements to sales@lillieandmillie.com If you wish to purchase from outside the UK please contact us for shipping costs before you purchase. Our standard yellow breed card with a red polka bandana. Want to personalise with the name of a pooch? Then please email your requirements to sales@lillieandmillie.com If you wish to purchase from outside the UK please contact us for shipping costs before you purchase. 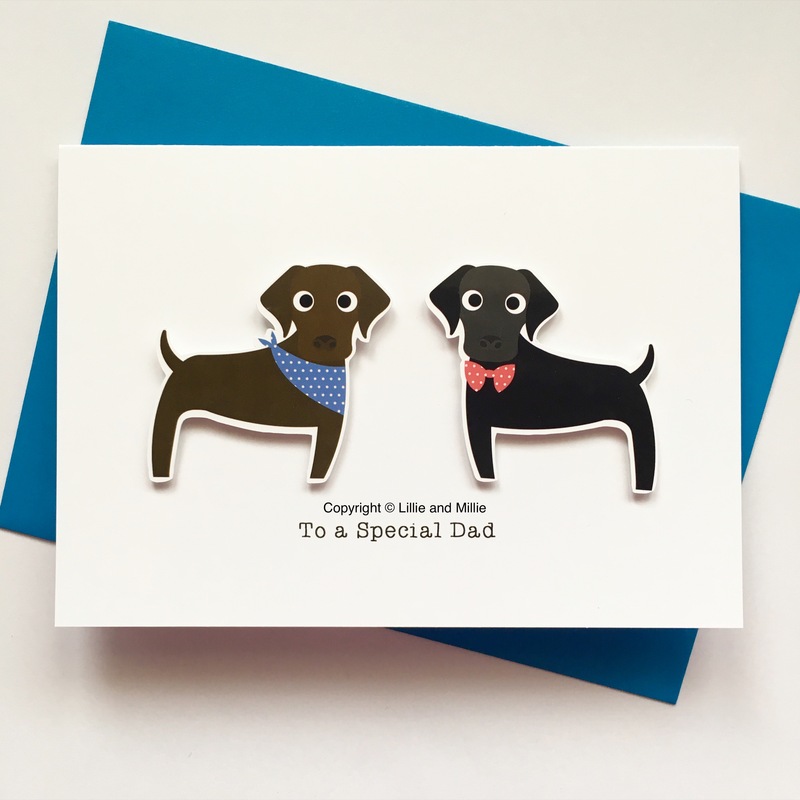 Our adorable 'I Woof You Dad' card with a blue bow tie. Also available in other colour ways and for other family members, please email us with your requirements. Want to add a different coloured bow tie? Then please email your requirements to sales@lillieandmillie.com If you wish to purchase from outside the UK please contact us for shipping costs before you purchase. 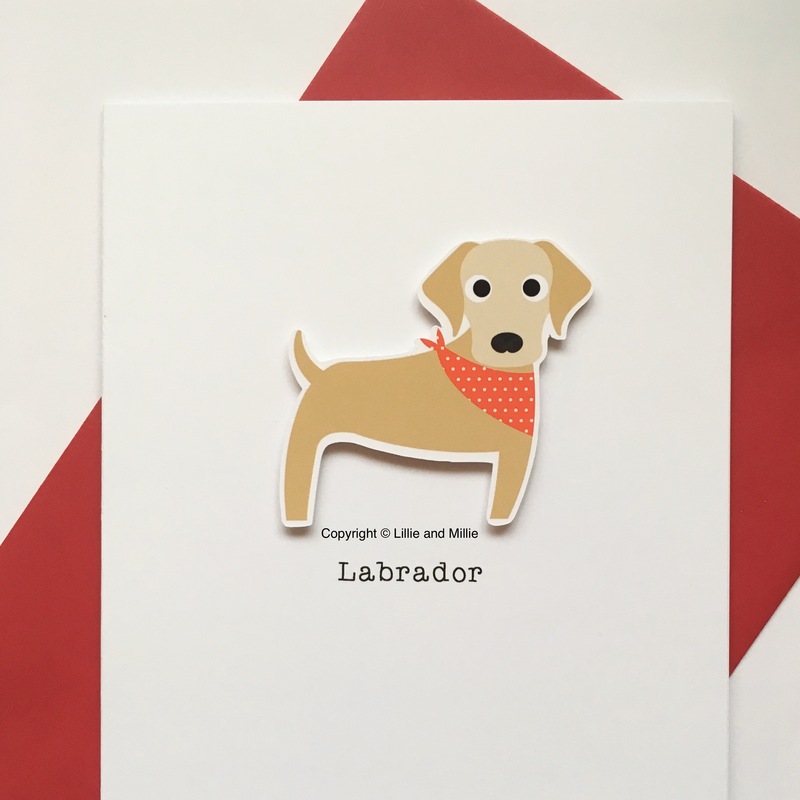 Our double Labrador breed card is available with any colour Labrador. Bow ties and bandanas are all available in any colour. This card is available for any family member - please email sales@lillieandmillie.com with your requirements. If you wish to purchase from outside the UK please contact us for shipping costs before you purchase.